Based on Julia Franck novel ‘Lagerfeuer’. 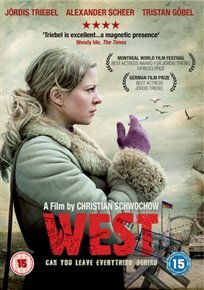 Set in the 1970s, Nelly along with her son decide to escape from East Germany after the apparent death of her Boyfriend. However once in the West the intelligence agencies want to know more about Nelly’s boyfriend..
Nelly is forced to choose between discovering the truth about her former lover and her hopes for a better tomorrow, in this film about a GDR refugee trying to adjust to life in the West.